. Published on August 28, 2014 . 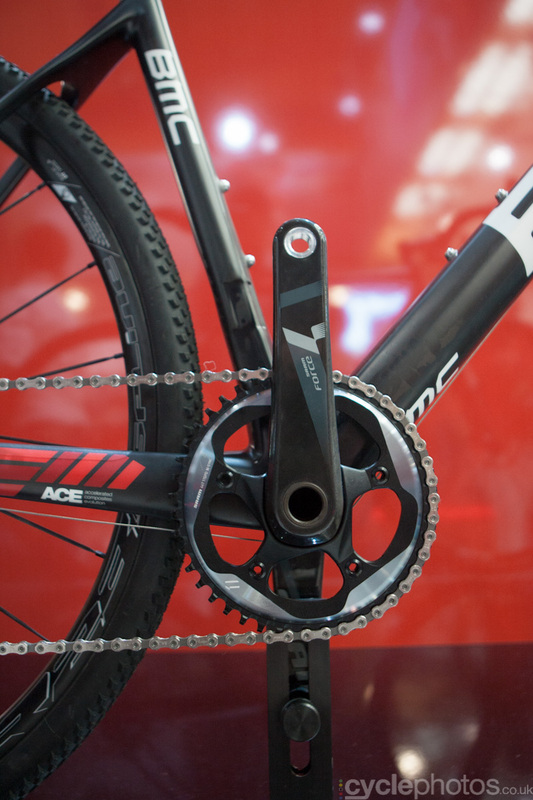 It’s that time of the year: the Eurobike is here again. 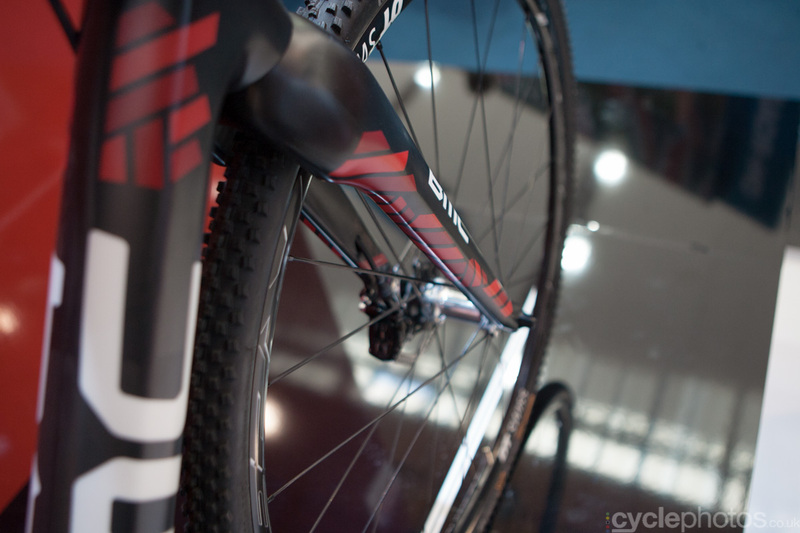 I roamed the halls of Eurobike today and shot a few interesting cross bikes. As road.cc’s Jo Burt noticed too, there were fewer cross bikes thank previous years. Nonetheless, I snapped a shot of the bikes that caught my eyes, so check out the following few shots and let me know what you think! 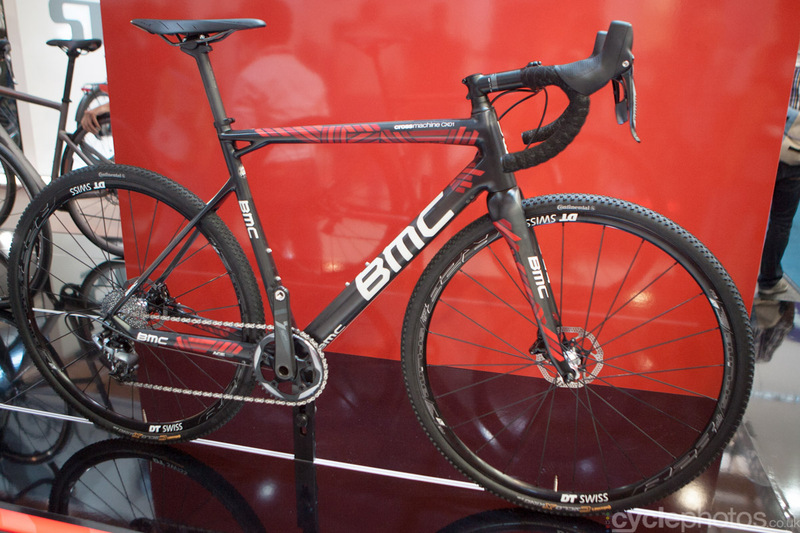 Do you like the 2015 cross bikes? 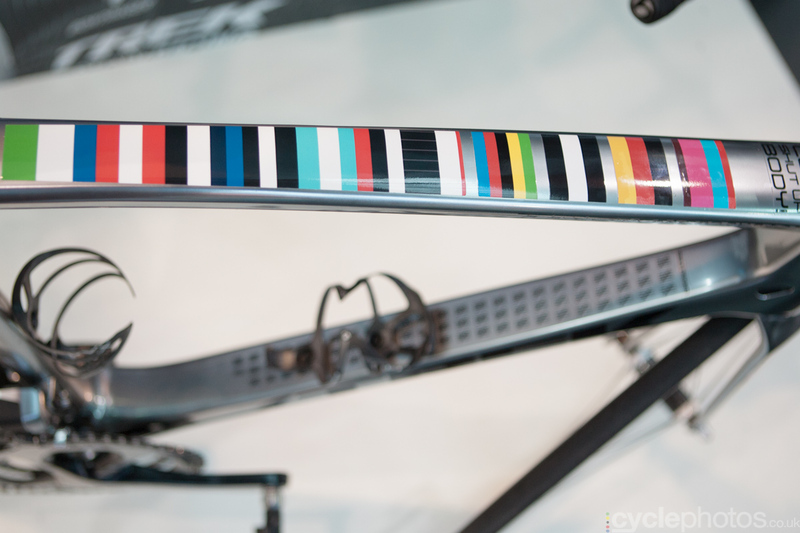 Jens Voigt’s bike looked just as cool live as it did on the photos. 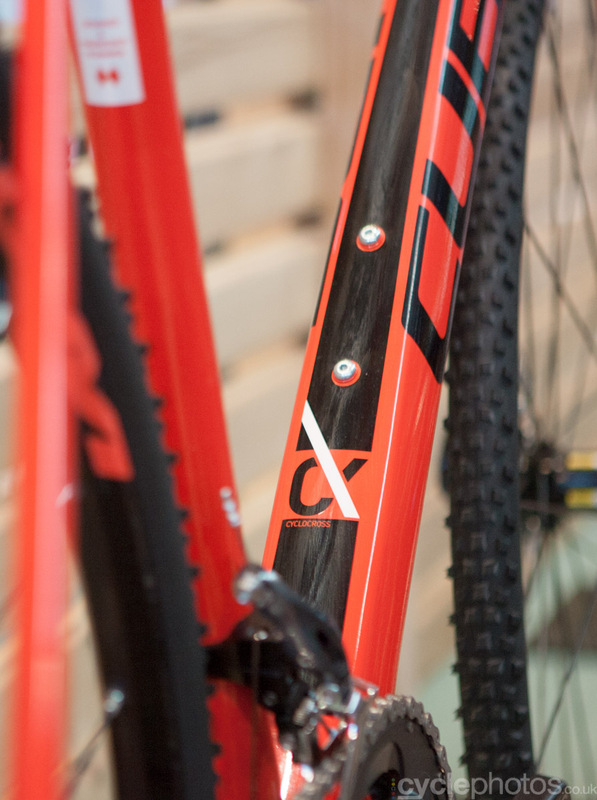 Nice little decal on the down tube of the new Ritchey Swiss Cross. 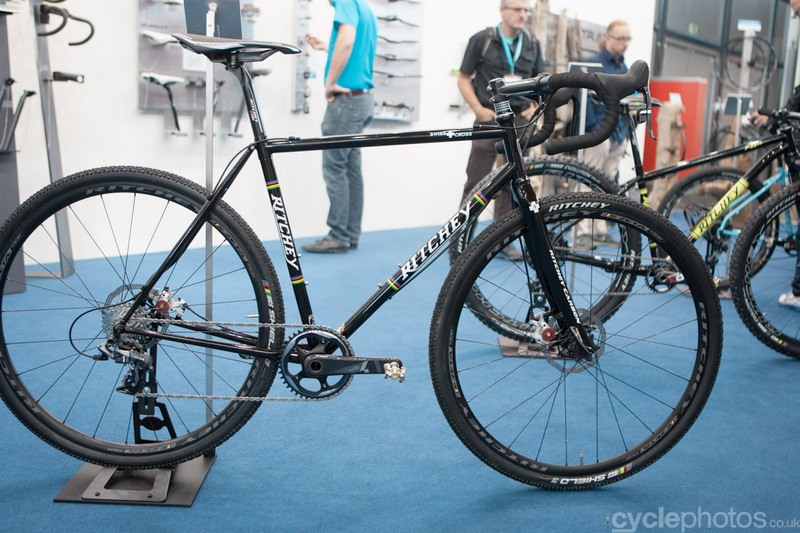 One of my favourite cross bike from this year is this Ritchey Swiss Cross bike. Understated black steel frame. 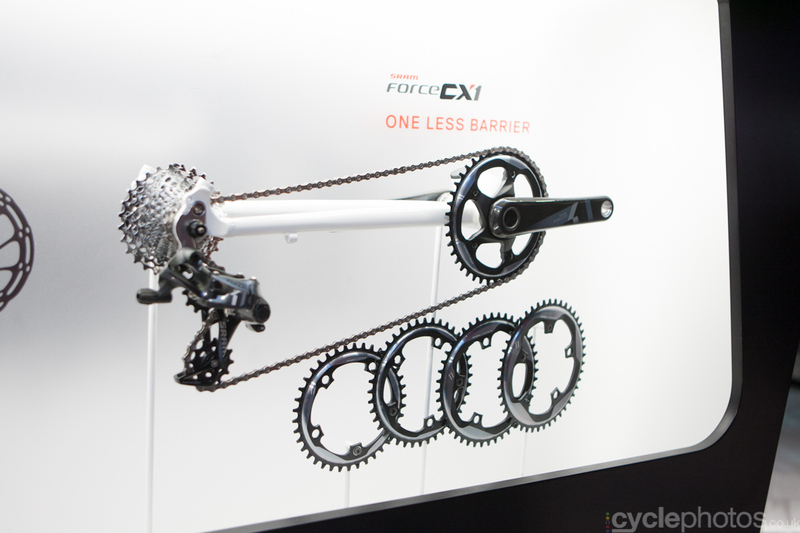 I was feeling proud to finally see the SRAM CX1 groupset at SRAM’s stand. The first email about it arrived last year, before the Tabor World Cup. 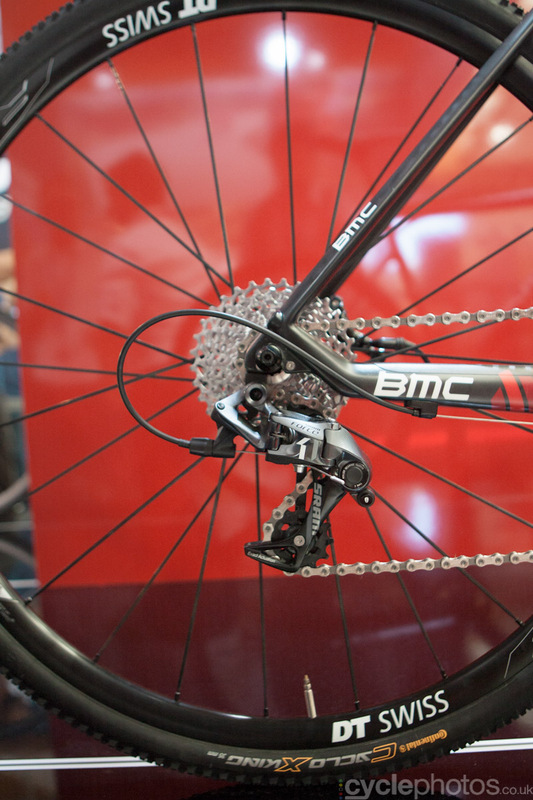 They asked me to keep an eye on Bart Wellens and his bike that had the prototype groupset on it. 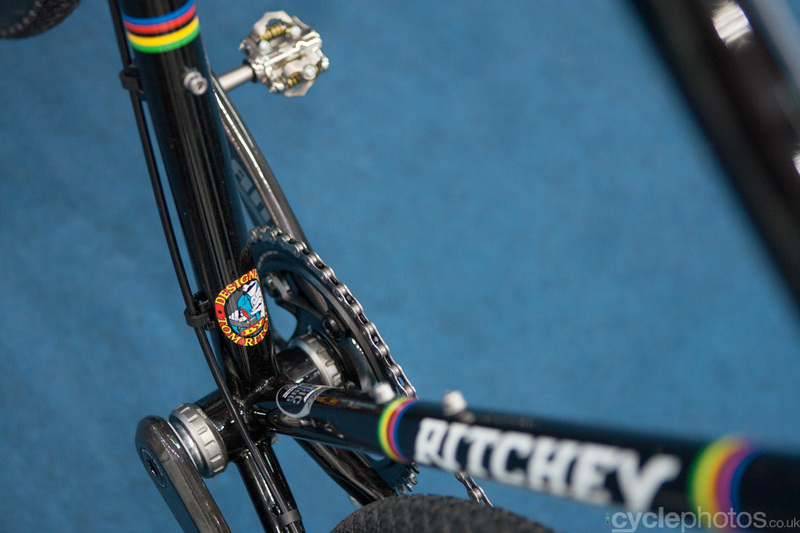 From then on, we were building a gallery of the groupset in action for the launch in secret. It was a tickling feeling to know something that only few people knew back then. 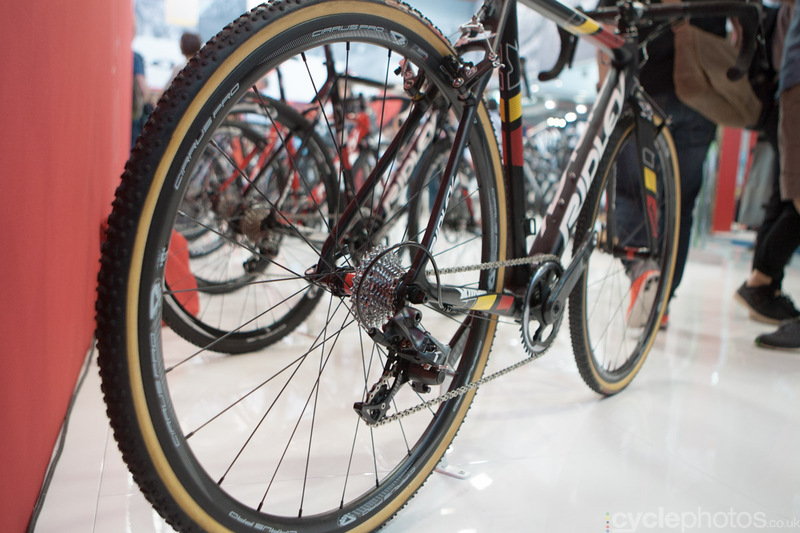 Interestingly, while the groupset had been on display since October, the not particularly tech-savvy Belgian press didn’t spot the prototypes while the Americans did so at almost the first outing. 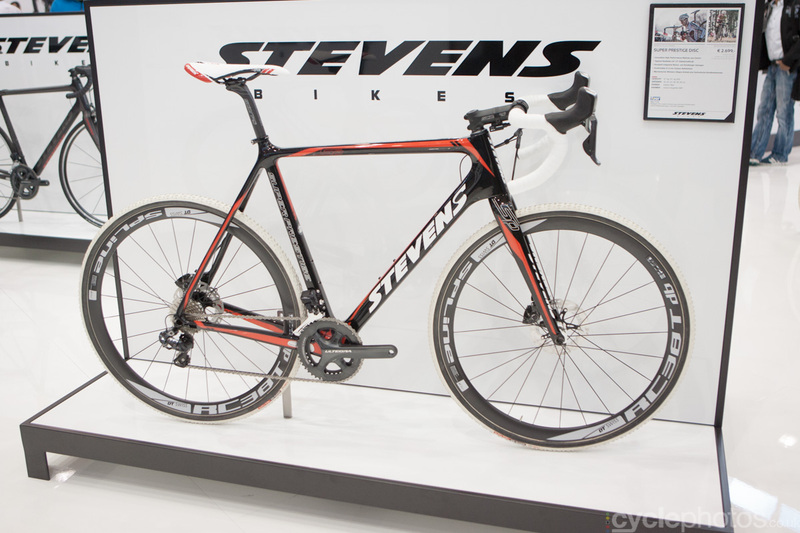 Not a particularly inspired paint job on this 2015 Stevens Superprestige. 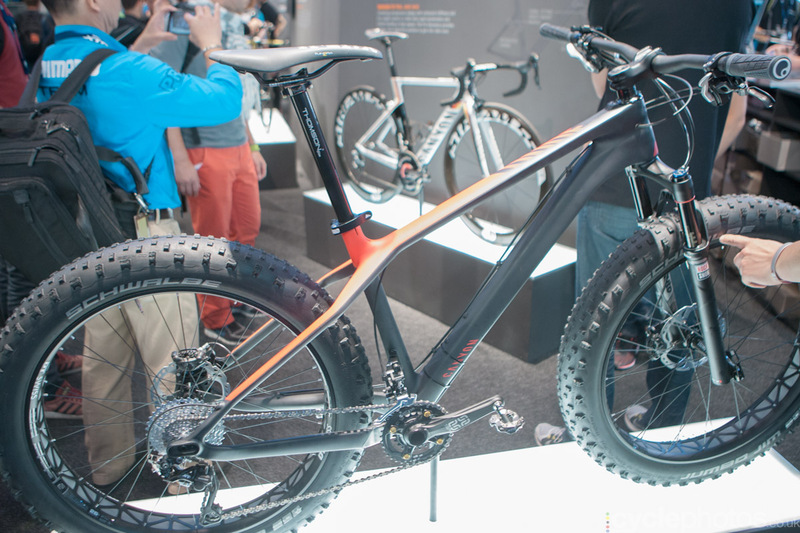 Unlike the Stevens, I really liked this KTM’s harsh orange colour scheme. 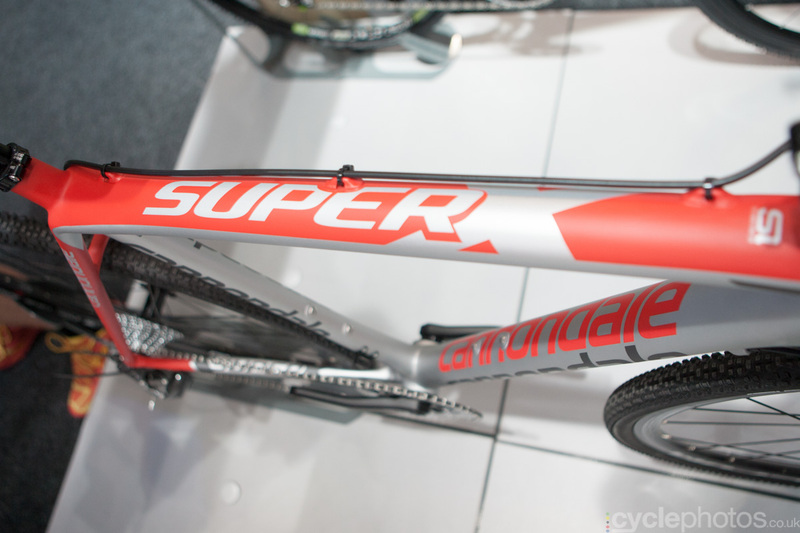 Normally, I’m not a huge fan of grey or silver on bikes but this Cannondale SuperX looks really cool. 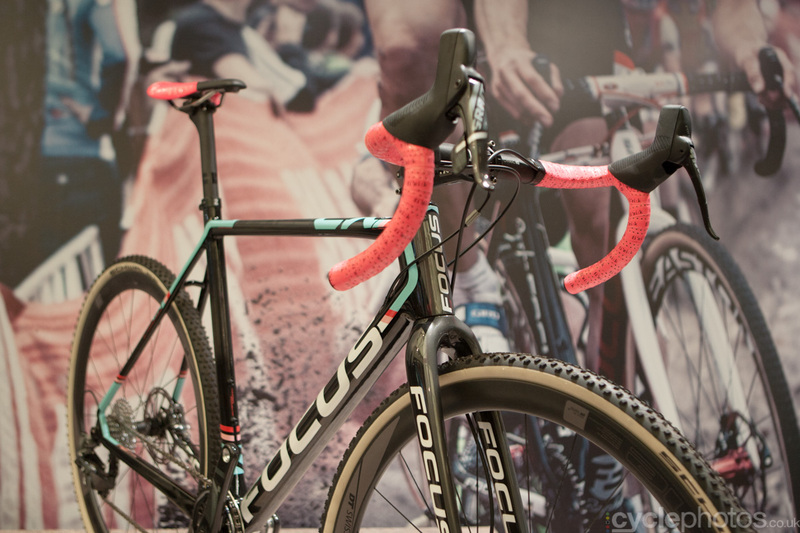 The top of the range Ridley X-Night with Belgian National Champion colours. Like. 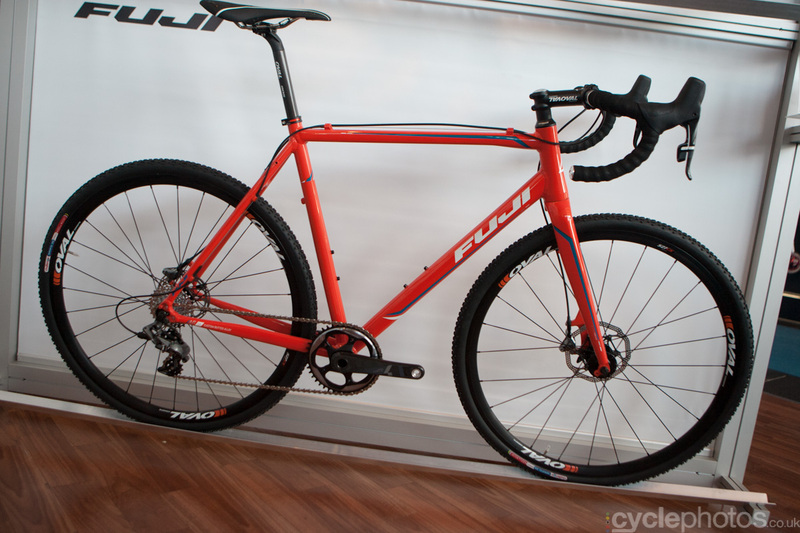 The Fuji 1.1 Cross Disc bike sports a bright orange colourway, which seems to be really popular this year. 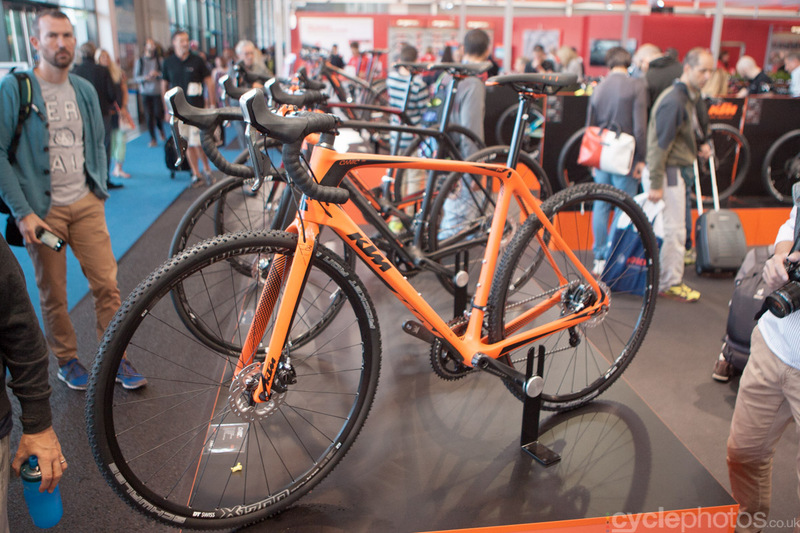 And another orange paint job, this time by Norco. Marcell Kittell swarmed by fans. 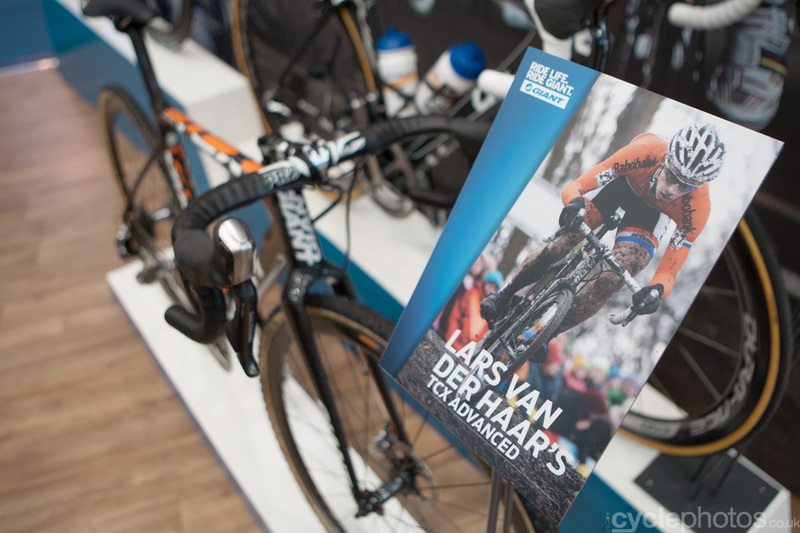 Only the ‘old’ Lars van der Haar Giant was on display, the new, Giant-Shimano colours weren’t present. 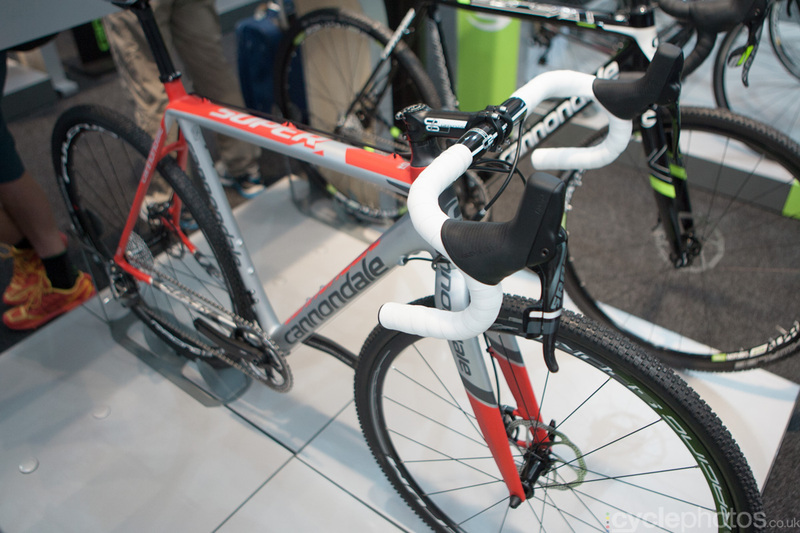 As it turned out, it won’t be all that dissimilar, the main difference will be the lack of orange on the top tube. 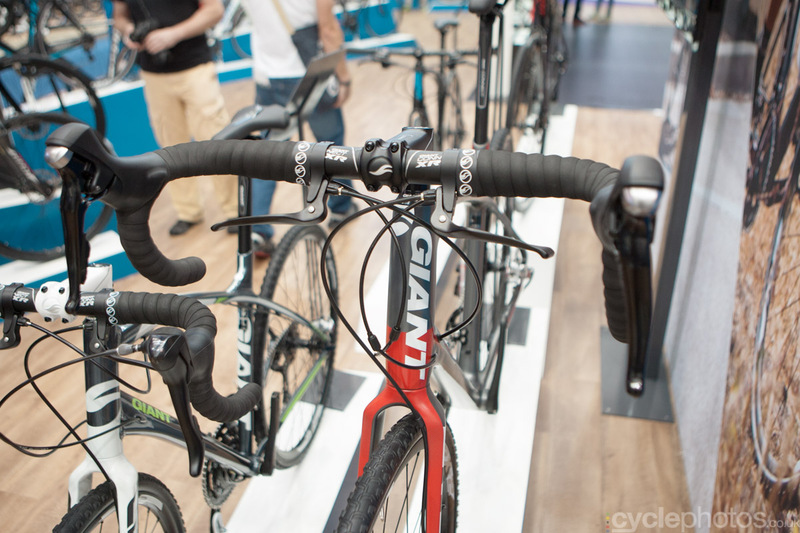 Every year, there is a dominant trend at Eurobike. 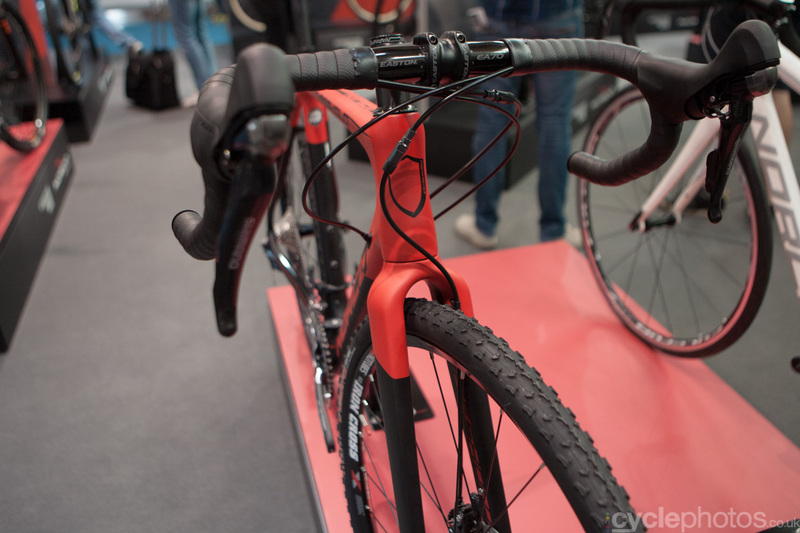 A few years ago it was electronic bikes, last year it was road bikes with disc brakes. This year? Fat-tyre mountain bikes. This Giant TCX SLRs come with handlebar brakes, which is fairly unusual, but from an amateur racers point of few, it is a killer feature. I saw this Giant paint scheme earlier this year and it’s still one of my all time favourites. 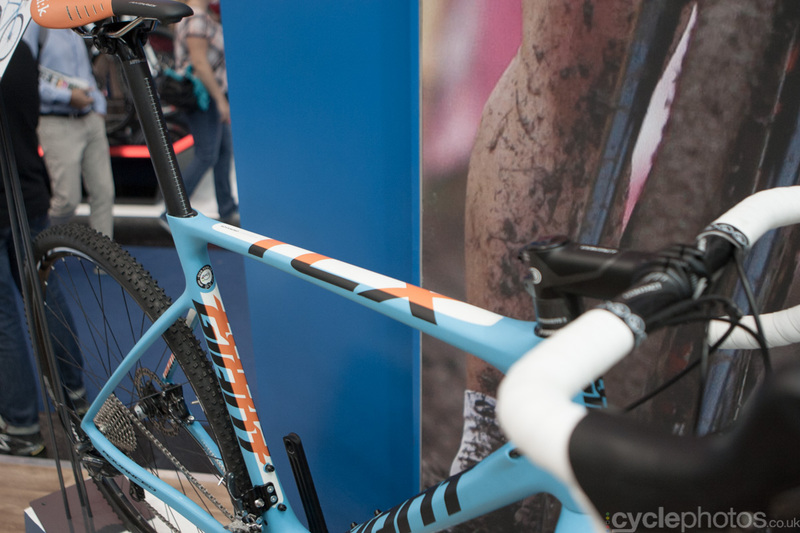 The top of the 2015 Focus cyclocross, with Jeremy Powers in the background. Not in person, only on a photograph.